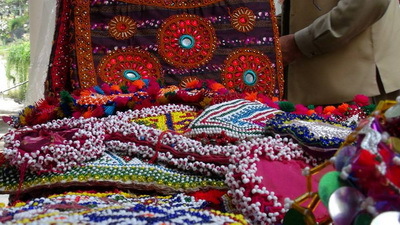 Name of Event: Cultural Festival and exhibition of Swat local tradition. 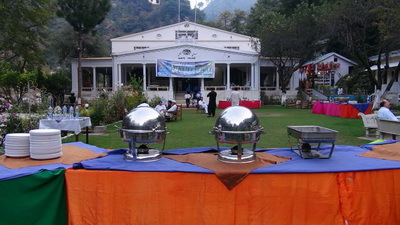 Place of Event: White Palace, Murghozar, Mingora, Swat. The purpose of the cultural festival is to provide joint plate form to people across religious, sectarian, cultural and ethnic groups for social and cultural interaction. Provide opportunity to people across different identities religious, sectarian, cultural or ethnic including men and women, persons with disability, transgender for joint celebrations of through common cultural practices such music, theatre, poetry, child performances, traditional story telling etc. Promote common values among people across different identities including men and women, youth persons with disability, transgender through positive cultural practices and inheritance. 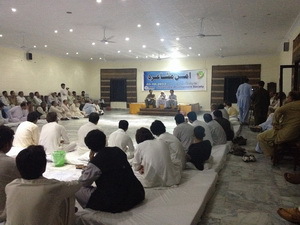 SDS held a cultural festival in Mingora, Swat; all segments of the society, participated in the cultural festival. Inside the festival their there were three different segments “AMAN MUSHIARA”, Cultural folk musical show and Exhibition. People of different folks of life were invited, like members of SDS Pukhtoon Khwa Humanitarian Network from whole province and across the province, different political parties’ representatives, lawyers, media persons, singers, local activists, minorities of Swat, district administration of Swat, PARSSA/ PDMA Administrator of Malakand division, poets, scholars, reputable representatives of well known organizations, common citizens, SDS board of directors etc. 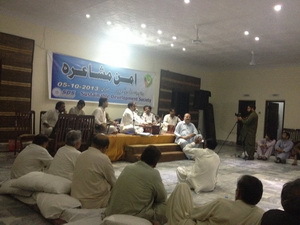 The cultural festival was started with a Mushaira organized by SDS-PHN network. 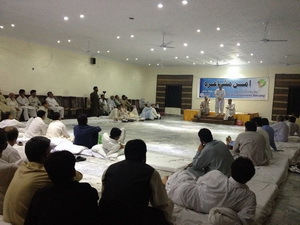 Metrist form overall Khyber Pakhtunkhwa and especially Malakand division were invited and participated in the program. Like, Shamas Buneri, Aimal Khan Khattak, Jameel Marghuz, Zahir Shah safi, Abdul-Raheem Rohani, Aziz Manerwal-AVT Khyber, Iqabl Shakir, MAL organization, Pervaish Shaheen,- poet and scholar, Dr. Khurshid Ahmad Khan- poet and Cardiologist in UK, The topic of Mushaira was “Aman (PEACE)”, verse on peace situation. Versifier presented wonderful and hurt touching verse and capture the overall peace situation of the country and especially in KP province in their poems. 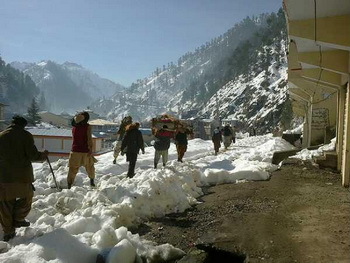 Inside their distich lines, everybody seems to be demanding for peace, love, tolerance and harmony in the society. Through poetry, they disseminate the message of love, peace and tolerance and situation in the country “WHAT HAD HAPPENED, WHY, BY WHOM, and WITH WHOM”. People heartedly appreciated and enjoy their poetry. At the end of Mushaira Mr. Pervaish Shaheen, poet, scholar, professor, and director of “Languages researcher and Gandhara research project center Swat had a historical speech in concluding remarks. In his speech capture the overall peace situation and heritage of pushtoon culture. After Mushaira, and enormously knowledgeable speech of him, a folk musical program was started. Mr. Ejaz Durani program specialist of SPO and member of SDS board started the folk music program as an anchor and with Mr. Shoukat Sharar of swat co-anchor of the music program. The music program was arranged in White Palace hall, due to security concern and to mitigate security risk. The white palace hall is very big hall, having huge capacity to accommodate people at once. As when program proceeded people of surrounding start approaching the white palace and once the space was limited in the hall, people stand outside and watch and enjoy program from the hall windows. Mr. Iftikhar Hussain, Executive Director opens the program by presenting beautiful pushtoo song in his glorious voice. Mr. Iftikhar along with his social activities has very good sense of humor and as well found of singing. People adore and enjoy his beautiful song. After his song, local singers belong to CBO’s Charbagh, presented the tremendous performance. People enjoyed their songs by singing with them in one voice and by some dances on their songs. After local singers, Mr. Zafar Iqrar a well know singer of Khyber Pakhtoonkhwa belong from Malakand district along with his group come to stage. People give him warm welcome with long clapping and a standing ovation by his fans / lovers. He bloom the environment with his beautiful and glorious v oice, people on their seats and near the stage dances “RUKS” on his songs. Different kind f songs were singing by Zafar Iqrar, like, pushtoo “TAPPA”, “MISRAY”, “RUBAY”, “AMAN SONGS”, “INQILABI SONGS”, “GHAZAL” etc. The video is also available in SDS digital library. In between the intervals “Dr. Khurshid come on stage and brief on “PUSHTOO MUSIC especially the historical background of “TAPPA”. He also sing some “TAPPA” and also tell historical background of each “TAPPA”, that who tells this to “whom, at what date and why”. The program goes till 2 o’ clock. 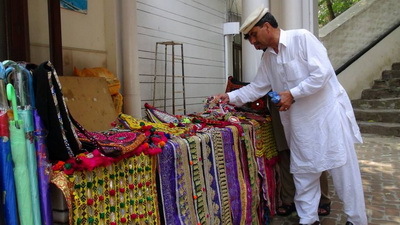 Day to was fix for exhibition, different type of stalls were arranged by different people. 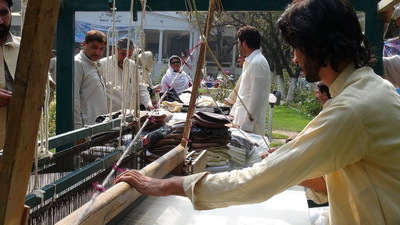 Like, stall of Salampur “KHADDI”, vary much famous shawls hand made woolen, local handicrafts, famous swat stones “SWAT FAMOUS ZAMROOD’ stalls, embroidery stalls, Swati woolen topi, “PAKOOL” stalls etc. 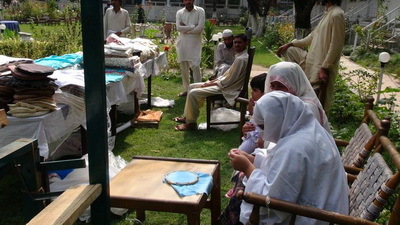 Females group was also invited to arrange the stalls, especially handmade embroidery stalls. Huge rush were over observed on the stall and people took keen interest in these stalls. The people visiting stalls were given briefing by the stall facilitator one by one in every stall. People took great interest in these stall and appreciated their work. 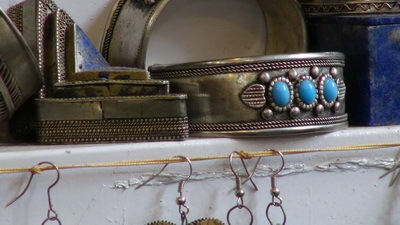 People also purchased different items from stalls. 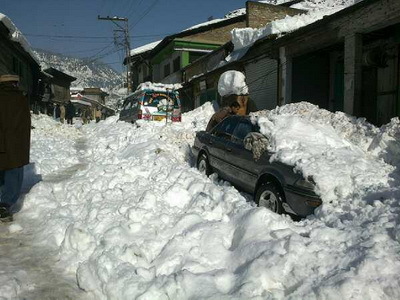 It was very good event, especially in Swat tense context and environment. Such types of events are extremely essential for the people to get together, share their views and left behind worrier and distress. Such type of events provides opportunity to people to come out from tense environment, which was unfortunately arise due to last insurgency, catastrophe of flood and current situation of overall country, our province and especially of Swat and Malakand division. Although there is peace but people are still in trauma and fear on their mind and faces. This event not only gives entertainment to people, but it also works like an energizer to them. People participation, open speeches on overall peace situation, singing, recalling traditional practices (heritage) are the positive and encouraging signs not only for citizen’s but also for organization and citizen-first project future objectives and activities. Such types of event are necessary to promote common values among people across different identities through positive cultural practices and inheritance.